As you can surmise, like every trained lawyer, I am a bit of a professional skeptic and that is particularly true where legal ethics rules are concerned. So it seemed like a good idea to invite one of the two named organizers, Erin Gerstenzang, to be a guest on our Digital Edge Podcast episode, The Data-Driven Ethics Initiative. I just met Erin for the first time at ABA TECHSHOW 2018 and was so impressed by one of her presentations that I included some of her talk in my column A Brief Recap of ABA TECHSHOW 2018 in the Oklahoma Bar Journal. During the podcast Erin discussed her view of the challenges that good lawyers face today with legal ethics rules and how rule changes might better serve the public. I encourage you to listen to the podcast. I'll give Erin's co-organizer (?) Megan Zavieh (who I also met for the first time at ABA TECHSHOW 2018) some equal time by pointing to her recent article on the Initiative Sweeping Change Is Needed to the Model Rules (and It Is Not Scary). The Initiative's rather austere website states: "We will kick off this initiative the week of May 22, 2018, from Las Vegas where we will be attending Avvo's Lawyernomics conference. We will publish the most current draft - our MVP- on October 4, 2018, from New Orleans, when many of us will be attending the Clio Conference." That's 135 days to gather data and produce a draft, including weekends and holidays. So I guess most of us will be waiting until then. Personally I will attempt to keep an open mind because I do appreciate how the technology-fueled changes of today can make it challenging to apply the rules to emerging technology. But I'd certainly encourage everyone involved with the Initiative to lobby for transparency. Who is providing funding? It's not really believable that an all-volunteer team, especially if many of the members are busy attorneys, can produce such significant results during such a short span over the summer, even if they work all the weekends. But maybe I misinterpret this MVP label. If it is a roadmap of what needs to be examined, then it certainly could be a valuable conversation starter. We shall see. ABA TECHSHOW 2018 will be held March 7-10 at the Hyatt Regency Chicago. It’s an important year to attend ABA TECHSHOW. Long-discussed changes are underway in our profession and many of them relate to technology. Many consumers are purchasing legal products online. Smart contracts powered by blockchain technology sound very realistic and appealing to large business clients. Lawyers now appreciate that some things shouldn’t be sent by unencrypted email, including QDRO’s, financial account numbers, social security numbers and confidential client advice. 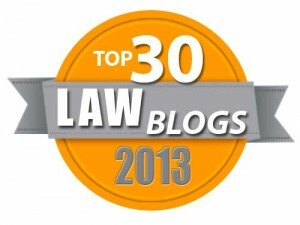 There are several alternatives to “regular” email that lawyers all need to understand. Oklahoma Bar Association members can receive an ABA TECHSHOW registration discount by using promo code EP1908 when registering. The early bird registration deadline for ABA TECHSHOW 2018 has been extended until Monday, January 29. We interviewed ABA TECHSHOW 2018 co-chairs Debbie Foster and Tom Mighell on our Digital Edge Podcast, Preview of ABA TECHSHOW 2018. As always, there are lots of interesting sessions and fun networking social events planned. You can either listen to the podcast or read the transcript at that link. I’m speaking at ABA TECHSHOW on The 411 on Texting for Lawyers with Ivan Hemmans and Using Client Portals for Effective Collaboration with Arkansas attorney and first-time TECHSHOW presenter Brooke Moore. Brooke has an Arkansas-based virtual law practice at http://myvirtual.lawyer/. Ivan Hemmans is a Senior Manager of Technical Development at O’Melveny & Myers LLP. I’m well-known as a fan of ABA TECHSHOW. It is my most valuable educational experience of the year–every year. There are opportunities to go out to dinner with the speakers as well as a massive vendor exhibit hall where you can talk to the people who develop the software you use. I appreciate that your time is valuable. But ABA TECHSHOW provides valuable information and is a great experience. You do not want to miss ABA TECHSHOW 2018. 2017 was a year of many natural disasters. While months have passed since hurricanes Irma and Maria and recovery from those storms is now only infrequently covered in the media, Tom Bolt hasn't forgotten their impact. His Virgin Islands law firm BoltNagi PC was was hit by both hurricanes. Many law firms, having seen the impact of these storms and other disasters, and have responded with a renewed focus on planning to be prepared to react in situations like these. Without proper planning the economic losses from a disaster can be staggering. 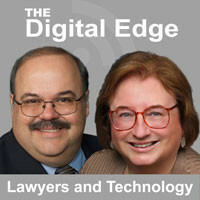 In this episode of The Digital Edge: Lawyers and Technology, When the Bell Tolls for Thee: Disaster Planning and Recovery for Law Firms I talk with Tom Bolt about how lawyers can prepare for natural disasters. The discussion includes what technology he used and needed, the importance of having a disaster recovery and business continuity policy in place and what types of problems his firm has dealt with in the aftermath. While the Virgin Islands received a devastating hit from these storms, all law firms need to have plans in place to cope with any future disaster, be it natural or digital. The year 2017 has been an extraordinary year for hurricanes impacting the U.S. and the Caribbean. It is heartbreaking to see pictures and videos of the destruction and devastation. Recovery will take many years for some of these areas and many families have lost photo albums and prized possessions that cannot be replaced. The number of wildfires in the western part of the U.S. this year has been staggering as well. Given the huge number of disasters we have seen this year, surely no law firm is without a disaster plan now? Right? Right? I could feel the silence in response to that, even over the Internet. If your planning is not adequate, start your planning by reading my column from the Oklahoma Bar Journal, What a Disaster! Hopefully this will give you a good outline from which to begin. The ABA Law Practice Division has asked Sharon Nelson and me to spearhead efforts on providing more information to lawyers about preparing for and recovering from disasters. One part of that will be an ABA-sponsored webinar on Preparing For and Recovering From Disasters: What Lawyers Need to Know on November 21, 2017. You can enroll and also find out more information at the webinar page. The webinar is not free, but reading my column on the subject is absolutely free. If there is a single sentence summing up what every law firm of any size should be focusing on today, I'll nominate this one. A law firm today should be in the business of producing great solutions and happy clients. Most new clients don’t really want legal services. They need legal services. What they want is often a resolution of a problem. Sometimes they want to avoid a problem in the future. Sometimes they want advice and paperwork relating to something they are planning. However, the majority of legal work is the result of someone having a problem and hiring a lawyer to find, create or negotiate a solution to that problem. Your attention is directed to my column from the Oklahoma Bar Journal, Great Solutions and Happy Clients. There are many strategies to improve client satisfaction. I cover a few of them. The more you appreciate that the client wants a solution to their problem rather than legal services, the better you can design your legal services delivery processes to incorporate communication with clients focusing on how you are reaching their solution and the better you can design your marketing efforts to attract new clients. Lawyers help their clients manage many legal and business risks. But law firms have many risks of their own to manage today. From ransomware and other cyber attacks to losing a key client or key lawyer, the way to manage these risks is to think about the risks in advance and make plans from creating an incident response plans to purchasing insurance. In my column Risky Business: Managing Law Firm Risks for Law Practice magazine, I cover several risks and how to begin the planning processes to mitigate them. The September/October 2017 of Law Practice magazine is a Finance themed issue. Every lawyer in private practice should be interested in law firm finance. Noteworthy articles include Budgeting for a Banner Year by Ellen Freedman, Identifying Your Ideal Clients by Mary Juetten and Using Small Data to Make Big Decisions by Fastcase CEO Ed Walters. Managing both finances and potential risks more effectively are great topics for law firm improvement. There is much to consider in this issue of the Law Practice Division's flagship publication. My "Big Idea" for the Big Ideas issue of Law Practice Magazine was a column titled The Law Firm Portal: A Must-Have Client Service Tool. I hope you can take the time to read it. In all honesty perhaps the biggest idea today for solo and small firm lawyers (who have not already done so) is to work from digital client files, powered by practice management software which allows lawyers to securely communicate with clients via secure client portals and reduces the use of insecure email with clients. Darla Jackson, Oklahoma Bar Association Practice Management Advisor, and I did a webcast for the American Bar Association called “Client Portals: Why Attorneys are Flocking to Them” earlier this year early this year. It is still available on demand. The ABA apparently had one of their writers attend the program and that summary was circulated to the entire ABA membership in June: Why attorneys are flocking to client portals. It is a quite good summary of the program and the concept. Now the world has watched as hurricanes have destroyed and damaged many buildings in Texas and Florida. There really cannot be a better argument for preserving client information in a manner where it can be easily accessed to be used for the client's benefit. In the even of a natural disaster, as soon as both the lawyer and the client locate electricity and an internet connection giving access to a cloud-based practice management system or portal provider, the law firm is operating and there are secure communications with the client, no matter who might be excluded from office or home. Darla Jackson will also be presenting a program on client portals at the Oklahoma Bar Association Annual Meeting in November 2017. Our citizens all deserve equal access to justice. Those with financial means can afford the best representation. There are many who can afford to pay something for a lawyer’s help but cannot afford full representation. Next Friday, August 18, OBA Practice Management Advisor Darla Jackson and I teach a three-hour program on Delivering Limited Scope Services Effectively and Safely. (Some refer to the service model as unbundled legal services.) Lawyers can attend this program in person at the Oklahoma Bar Center (registration) or by simultaneous webcast (registration). Early bird registration for these programs ends at midnight Friday, August 11. What are limited scope services? This term refers to a lawyer agreeing with an appropriate client to provide less than full-service representation under existing Rule 1.2(c) of the Oklahoma Rules of Professional Conduct. In June 2017, the Oklahoma Supreme Court added a new rule, Rule 33, to the Rules for District Courts of Oklahoma. The rule provides that lawyers who prepare pleadings or other documents to be presented to or filed with the court must disclose their participation on the document, but may do so without entering appearance in the underlying matter. But, as they say, the devil is in the details. While this rule change now provides an opportunity to help those who cannot afford full-service legal representation, this is intended to provide a viable and profitable business model for lawyers to use to help people. However, attorneys who deliver these services need to appreciate the ethical duties they must satisfy. Additionally, attorneys must recognize that some clients seeking limited scope representation may later have a complaint about the scope of the services provided. This program will provide practical guidance and suggested sample forms relating to delivering limited scope services. It is offered for three hours of continuing legal education credit including one hour of ethics. Today’s law practice tip was inspired by Norman, Oklahoma master police officer Paul Evans and his observations from an article in The Norman Transcript. Some may not consider this a law office management tip, but if you’ve ever helped a client who has lost their home to a fire or natural disaster gathering documentation for an insurance claim or has been a victim of theft, then you know better. At a minimum this is a great tip for a client newsletter or law firm web page. If you lost your home to a fire (or Oklahoma tornado), how complete and organized is your documentation of the personal property contained in your home? If you have carefully documented every purchase and maintained records on these purchases in a fire resistant safe or file cabinet (or secure online storage site), you can stop reading now. For the rest of us, here are a few simple and easy ideas. One evening soon at home, go through your entire house videoing everything with your smart phone or digital camera. Open every closet and every drawer. Don’t worry about clutter. This is an inventory, not a spread for a home design magazine. After you have completed your “home movie,” store it online in a secure location and/or give copies on flash drives to trusted friends or relatives for safekeeping. If there is a disaster, this video inventory may not be as complete as if you had kept all purchase receipts and other records, but it will serve as a great reminder of things you might have otherwise forgotten and proof you did possess them. Then every time you make a new substantial purchase, take a moment to take a picture of the item, a picture of the item's serial number and the sales receipt. Then email these to yourself. A web-based email account with massive storage is suggested. Over the years you will accumulate a comprehensive household inventory just by taking a few pictures and sending a few emails. If something is stolen, you have easy-to-access documentation for law enforcement as well.